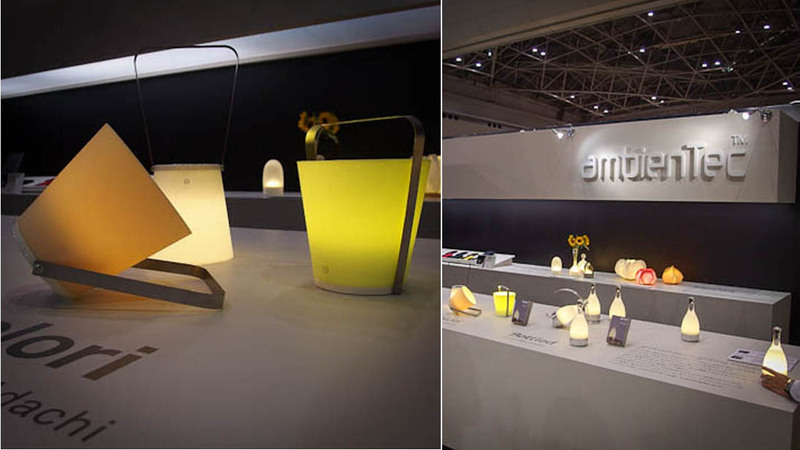 The Japanese company AMBIENTEC presented the rechargeable LED light COLORI in their stand in Interior Lifestyle Tokyo. Once the battery is charged, COLORI can be taken to anywhere you like. You can hold the handle and walk around with it, and the same handle also function as a stand for the led light.